Level-5's Guild 02 titles are already out in Japan and are on their way to the West. The Starship Damrey will be released first - 16th May in North America - and will be followed by Bugs vs. Tanks! and Attack of the Friday Monsters! A Tokyo Tale. 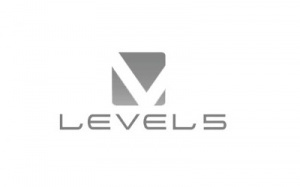 There's been no official news on any development of a Guild 03 series but if Level-5's latest set of trademarks are anything to go by, it could be on the way. Siliconera has spotted three new trademark registrations from the developer in Japan: Wonderflick, Rare Drop Adventurer Note and Earth Devastating B-rank Girlfriend. Though there is no official link to a Guild 03 collection - or any other game for that matter - all marks were registered on the same day and certainly have a quirky Guild-like feel to them. We can't wait to see what Earth Devastating B-rank Girlfriend is all about. What are your thoughts on these new names? Let us know by leaving your mark in the comments section below. Sure has that Guild feel to the names. I too am looking forward to how the last one looks. Wonderflick - Fantasy adventure with touch screen controls. Rare Drop Adventurer Note - A quirky looting game. Earth Devastating B-Rank Girlfriend - Either a visual dating sim or something similar to Liberation Maiden. I hope these games keep coming. I'm glad to see them getting eShop releases as well! Hopefully they will be able to release a good zombie game. I'm always happy to have more games heading to the eshop! The names themselves sound pretty interesting but I'll wait for an official confirmation before getting excited. I love Liberation Maiden, so I'm excited by this news!! I hope is is Guild 03 related! Time will tell. Youkai Watch and Fantasy Life. JUST. BRING. THEM. OVER!!!! Come on Level 5, you do remember that that's your IP, right? The names sound promising. I'm eager to see what these ones are. Guild01 was great, especially Crimson Shroud. 'Earth Devastating B-rank Girlfriend' almost sounds like a movie title I'd watch. Putting aside $7.99 for Earth Devastating B-rank Girlfriend as we speak. I don't care WTF it is or how much it costs, Earth Devastating B-rank Girlfriend is as good as bought. I'm going to blow a gasket if they ever announce Fantasy Life for the West and Europe. These will be bought as well. 3DS is getting some great 3rd party support! Hope this is true! The Guild series could really be a good selling point for the eShop. That's it. Calling it. Game of the year! Seeing as Level-5 is working on a PS4 title one of the trademarks could very well be it, looking forwards to there soon to be coming announcement. Good Lord. Funky titles. It could very well be Guild03. I hope one of these new titles is an RPG, maybe Wonderflick or Rare Drop Adventurer Note? We need more eShop RPGS to be honest, I'll last a long time playing The Denpamen 2, but it would be awesome is some other devs pitched in, like level 5. I'm keeping my eye on Starship Damery and A Tokyo Tale. The brief footage of both caught my interest. My heart skips a beat every time I see a Level-5 headline. Professor Layton vs. Ace Attorney, please, I really don't want to ask again. @RetroGBHippie92 From what im seeing with the Denpamen 2 it looks even longer than the first one which was no short game. I bet the second with its overworld maps will be even bigger.